Alberto Manzano's new book has now been published by Ediciones Luciérnaga. The peace and inner silence emerged when the depth of his personality dissolved and Leonard Cohen ceased to be Leonard to be Cohen alone in his work. In mid-1993, after the presentation tour of The Future was over, Leonard found no reason to continue in Los Angeles. He could not enjoy the success that his work had given him, his love affair with Rebecca de Mornay had come to an end and he felt gripped by a deep depression. It was then that he packed his bags, picked up his Pathfinder and headed to the Mount Baldy Buddhist monastery. 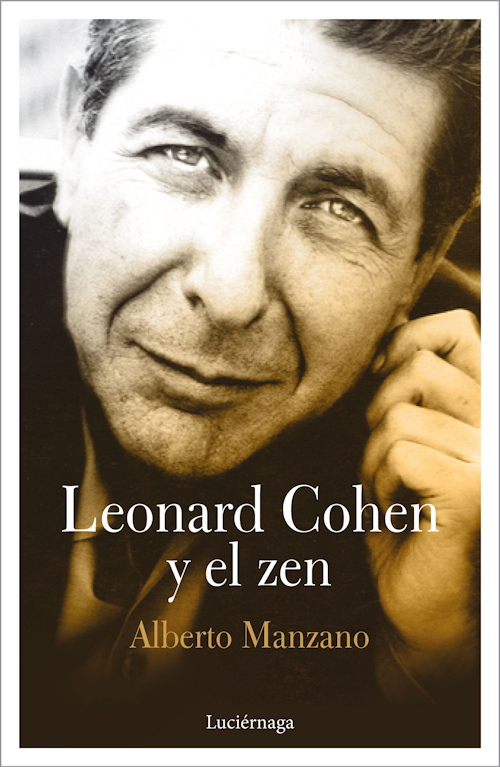 For more than fifty years, the need for a complete self-reformation led Leonard Cohen to a spiritual search through the study of Zen and Hinduism, an immense and profound personal work whose reward he finally obtained in the last years of his life. Looking forward to reading comments posted by our Spanish speaking members!! Manzano has that special way to move one's soul with words, the prologue of this book is one of the most beautiful love declarations I ever read, from a man to another man, from a human being to another. He drove me to tears. Highly recommended!